The below artworks are the most important by Maurice Utrillo - that both overview the major creative periods, and highlight the greatest achievements by the artist. Artwork description & Analysis: In 1896, when Utrillo was a young teenager and already struggling with alcoholism and getting into trouble in wild, bohemian Paris, he moved to a house on la Butte Pinson, a hill in the suburb of Montmagny along with his mother, stepfather, and maternal grandmother. It was in Montmagny where he first began painting, creating a series of works between 1905 and 1908 that were evidence of his natural abilities as he was largely untrained artistically. Artwork description & Analysis: By the age of 25, Utrillo had begun experimenting with more complex motifs. Once again, the influence of Impressionism - particularly Monet's cathedrals - is revealed in his work. In 1895, Monet's Rouen Cathedral series had been displayed at the gallery of Paul Durand-Ruel in Paris and he is very likely to have seen it. Artwork description & Analysis: This painting features a view of a deserted Place du Tertre, a usually lively public square at the top of the hill of Montmartre. According to the Tate Museum, Utrillo probably did not stand in the square and compose this painting, although you are likely to see artists doing that very thing if you visit the Place du Tertre either today or 100 years ago. Instead, it is likely that this composition was based on a picture of the square Utrillo saw on a postcard, although, admits the Tate "none has so far been traced that shows exactly the same view." 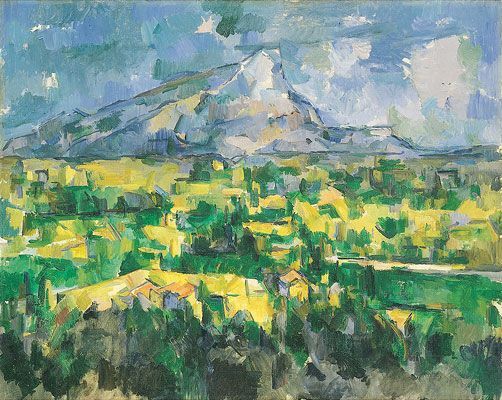 It is known, however, that the artist based many compositions on postcard images, particularly as he grew older and less inclined to go out in public. By 1909, Utrillo's alcoholism had begun to take a serious toll on his health. Combined with serious depression, the ill effects forced him into a sanitorium frequently. When not hospitalized, he was often watched over by a family member either in his studio or in a hotel room. Either way, he was not capable of going out and drawing or painting. Artwork description & Analysis: Another Montmartre landmark, the Berlioz House was located on the corner of the rue du Mont-Cenis and rue Saint-Vincent. Composer Hector Berlioz and his wife lived in the house between 1834 to 1837, long before Utrillo came to paint it. In 1911, the Cubist painter, Georges Braque, established his studio in the house and Utrillo may actually have begun the painting around that time, finishing it a few years later. Indeed, the Musée de l'Orangerie suggests that he may have reworked the painting, adding the French flag in 1914 after war was declared. Artwork description & Analysis: Like so many of his other works, this painting is almost certainly based on an image from a postcard representing the village, Maixe, located near Luneville in Lorraine in eastern France. Utrillo emerged from his "white period" into a more colorful and animated one. 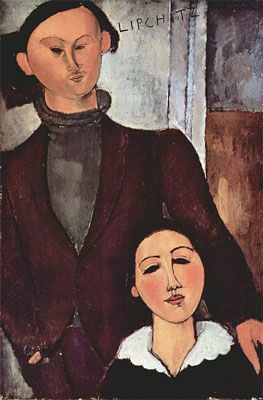 It seems likely that the return to brighter palettes and more volumetric forms of artists like Matisse and Chagall in the Post-Cubist period must have been influential for him. Artwork description & Analysis: In 1927, the young Cypriot, Paul Petridès, moved to Paris. 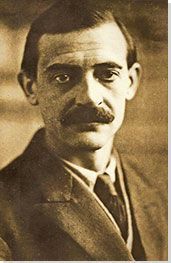 Aspiring to be a tailor, he began working as an apprentice to a well-known gentlemen's tailor, Mazella, who had begun acquiring the work of avant garde artists like Picasso, Vlaminck, and Utrillo. Petridès was most taken by the works of Utrillo, who was by the late 1920s legendary in his reclusiveness. 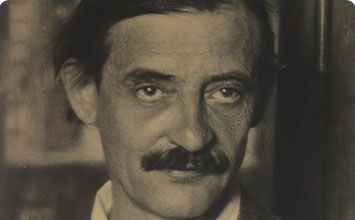 The young dealer eventually arranged to meet Utrillo, a meeting that was coordinated by Valadon, who encouraged Petridès to offer Utrillo a new "blue suit" in exchange for the introduction, and began expanding his collection, which became the largest collection of Utrillo's works. Indeed, this work, signed by the artist with his frequent inscription, "Maurice. Utrillo. V.," the latter referencing his mother's name, was inscribed on the stretcher by Petridès: "Peint pour moi par Utrillo, décembre 1940, acheté chez Paul Petridès..." ("Painted for me by Utrillo, December 1940, purchased by Paul Petridès..."). First published on 24 Mar 2017. Updated and modified regularly.